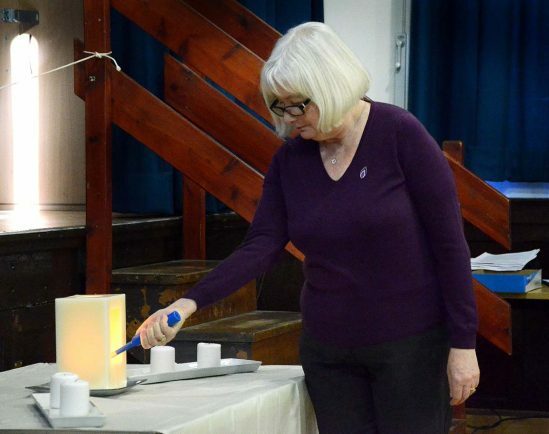 Pass on the torch - Coun Spencer believes it’s important for the younger generation to learn about the Holocaust. 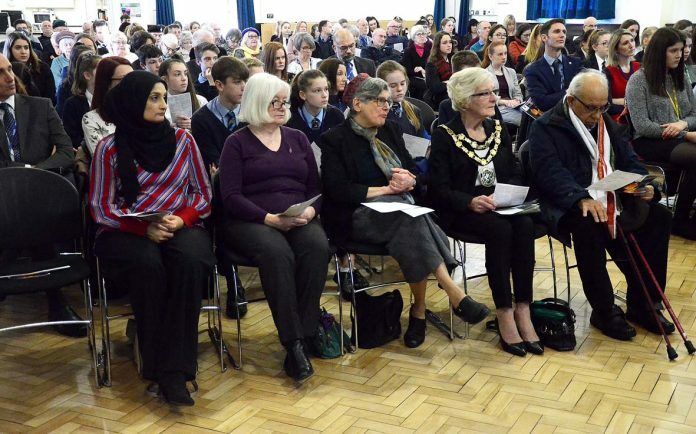 BROMSGROVE’s community came together to remember the victims of the Holocaust, Nazi persecution and subsequent genocides earlier today. 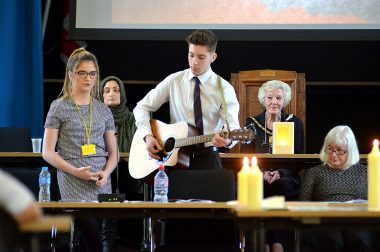 ‘Torn From Home’ was the theme for this year’s Bromsgrove Holocaust Memorial Day Service. 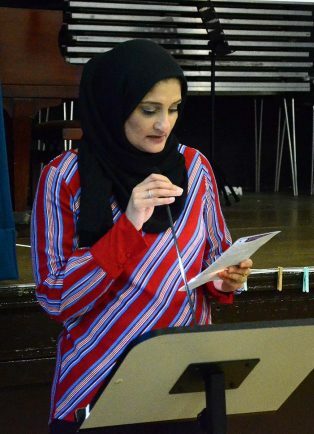 It encouraged people to reflect on how the enforced loss of a safe place to call ‘home’ is a part of the trauma faced by anyone experiencing persecution and genocide. 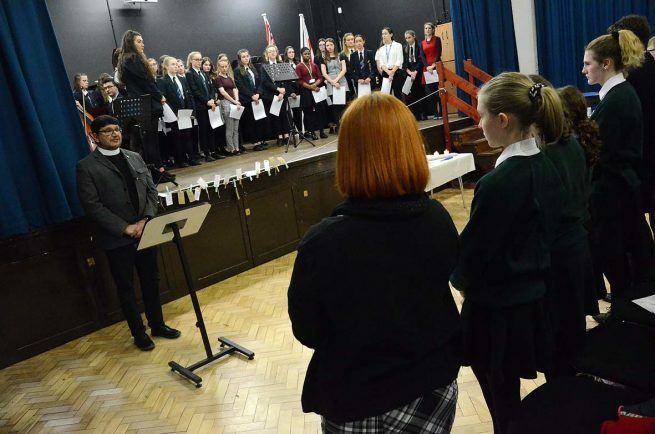 The poignant service, held at Parkside, saw several schools from across the district join representatives from all faiths, light candles, give readings and hold a two-minute silence. Pupils read out real life stories of those who fled persecution. Each school was asked to think about the different emotions the person felt and to write them on a luggage tag to symbolise the journeys they took away from home. The luggage tags were then attached to the line at the front of the hall. Bromsgrove District Council Chairman Coun Caroline Spencer said: “The children were absolutely brilliant. 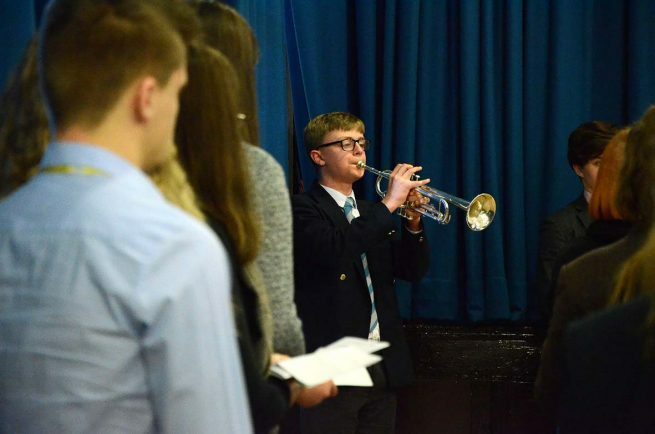 Pass on the torch – Coun Spencer believes it’s important for the younger generation to learn about the Holocaust. The service was led by Rev Ray Khan. 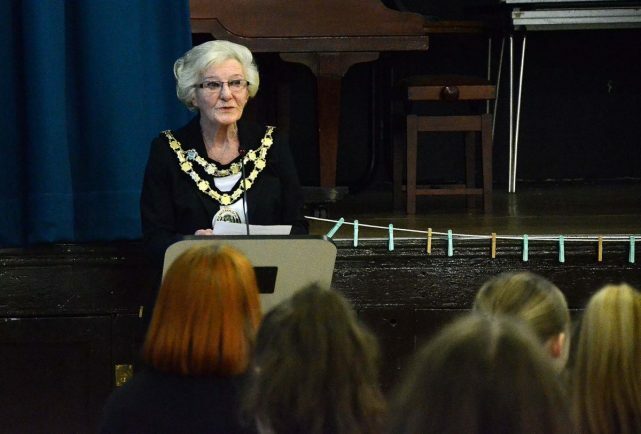 He said: “Considering some people in the UK don’t even believe the Holocaust happened, I think it’s really important that we continue to talk about it and the tragedies which occurred. 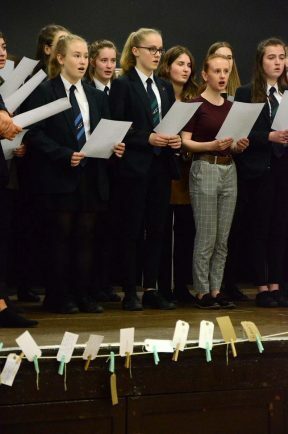 Bromsgrove South High School’s ‘The South Sisters’ closed out the ceremony with a soulful performance. In the Holocaust, 11million people, including six million Jews, were systematically murdered in Europe between 1941-45 by the Nazis and their collaborators and it is recognised as the worst genocide in history.